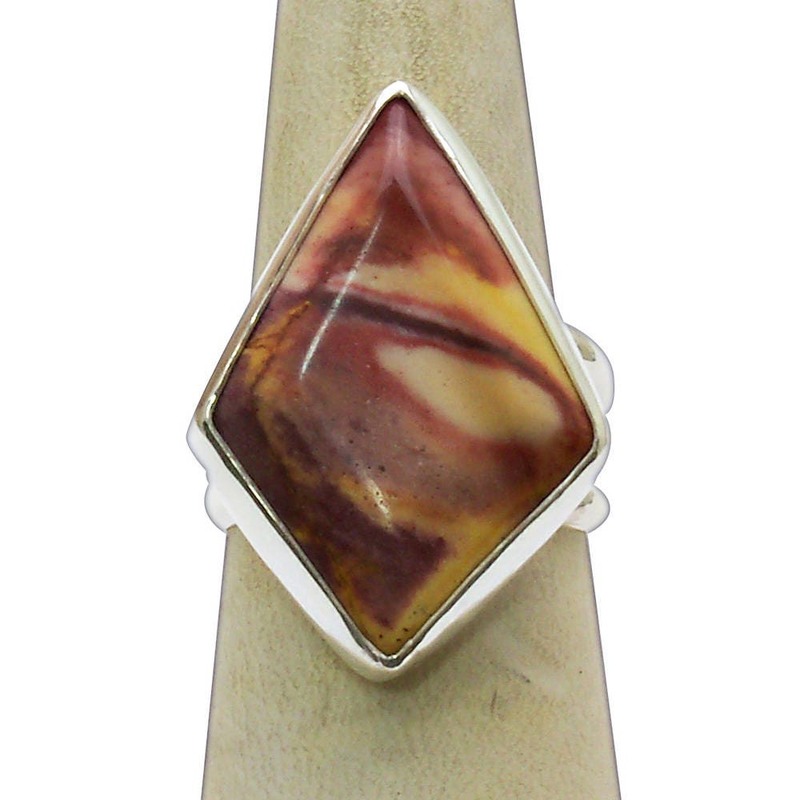 Mookaite Jasper and Sterling Silver Ring, Size 7-1/4. Hand cut cabochon set in hand forged Sterling silver. 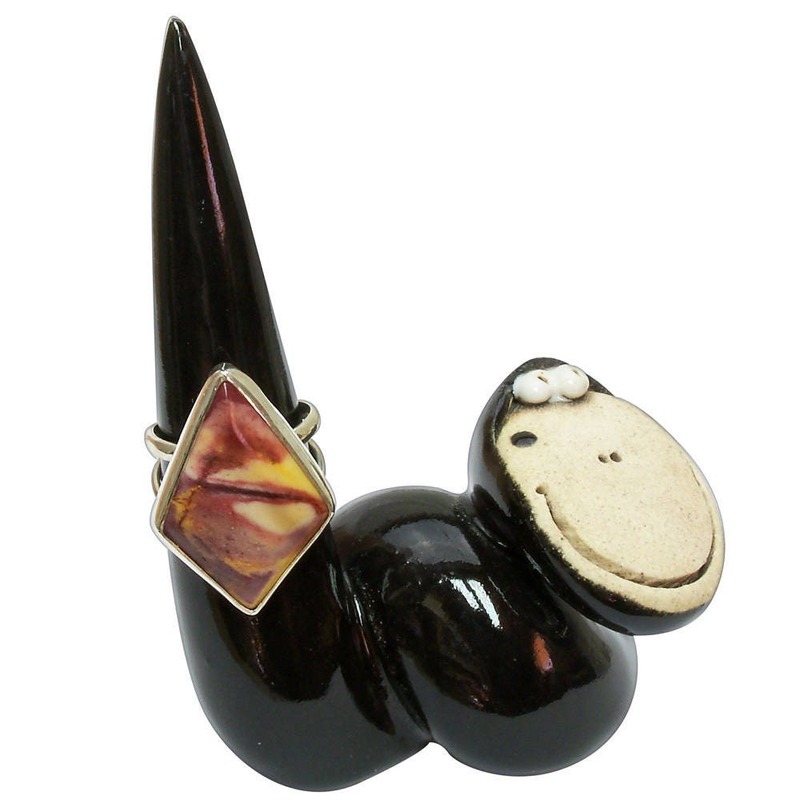 This is a one of a kind (ooak) art piece, jewelry that makes a statement. 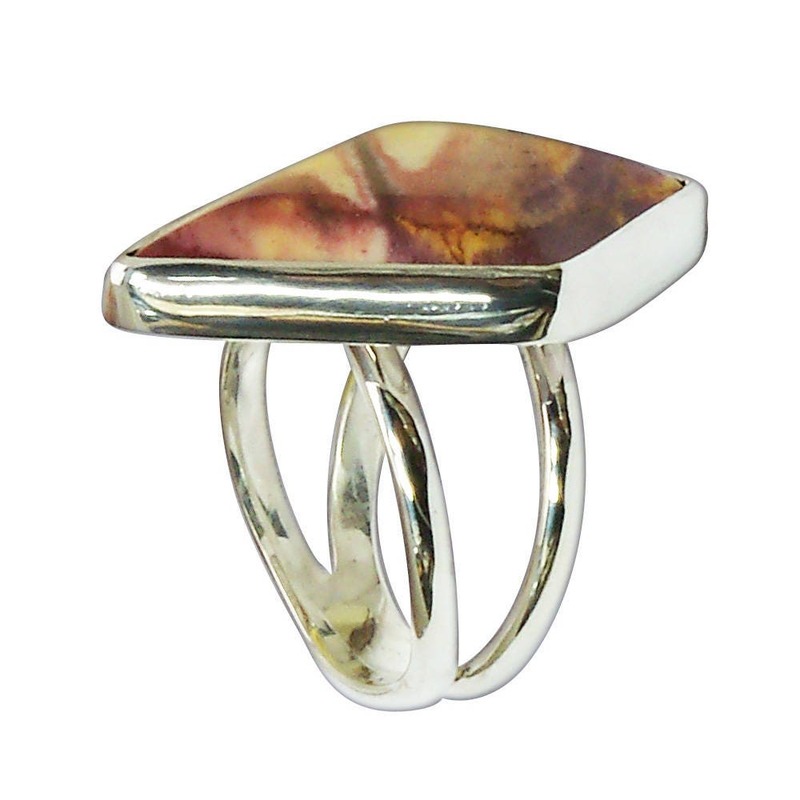 I personally hand cut the gemstone, then hand forged the metalwork to take advantage of the beauty of the stone. Be sure to check out the third picture, it features a cute little "Ring Worm". 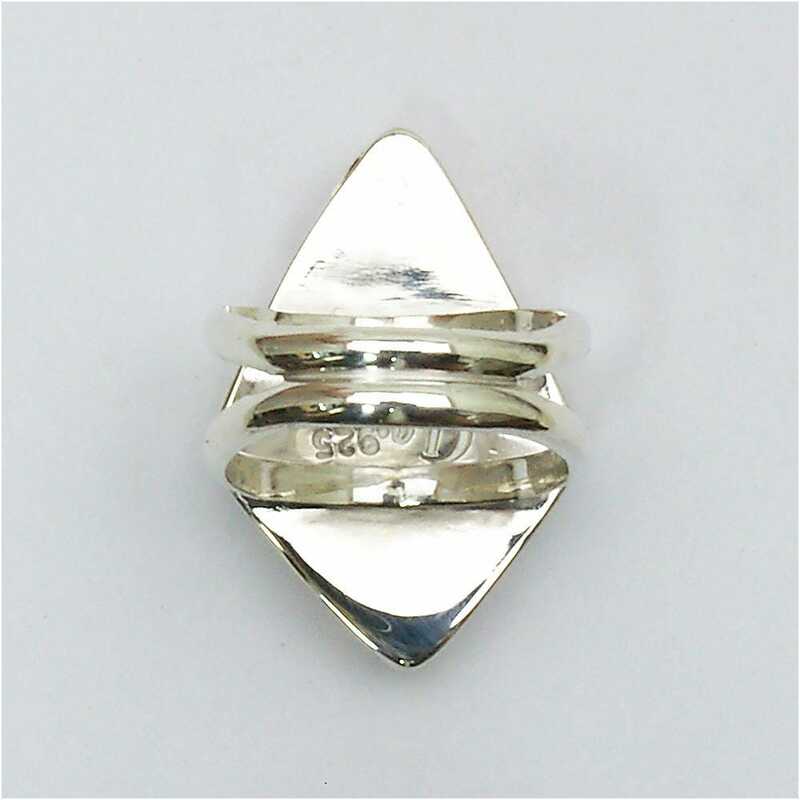 If you want a Ring Worm of your very own contact vicfarber [!at] gmail.com. The Ring Worm is just one of his Porcelainalities. 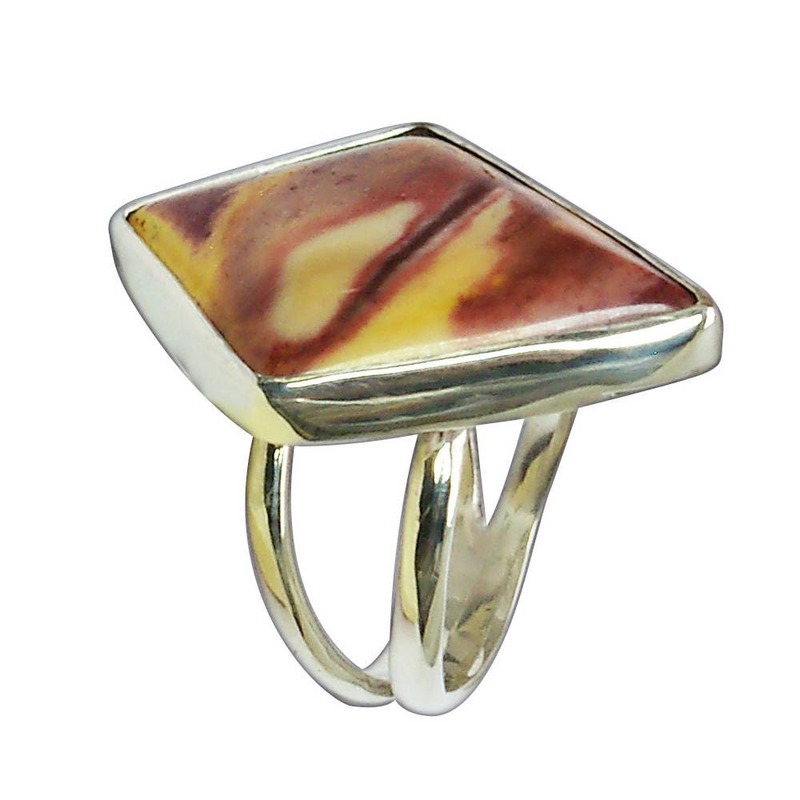 Mookaite is an Australian Jasper of bold, earthy beauty with a fiery fusion of red and yellow. It is only found in Australia and has the same earthy colors as those used by Aborigines in their art work. Metaphysical Properties: Mookaite is an extremely soothing stone and can help to relieve stress, tension, and the negative effects of emotional trauma. It can help you to regroup when life gets complex and can also help to enhance strength and endurance to positively affect wellbeing. Some believe that it helps to stimulate youthful exuberance, which in turn can help to slow the aging process. It can also promote courage to help you to face new challenges. Mookaite's healing powers can benefit glandular, digestive, circulatory, and immune systems.